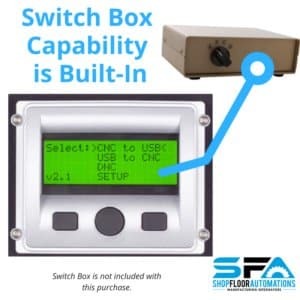 The USB Connect series for USB CNC solutions will eliminate old technology on your CNC machines, increase program storage at the machine, & bring new life to them with our USB solutions. Tired of CNCs with a floppy disk drive? 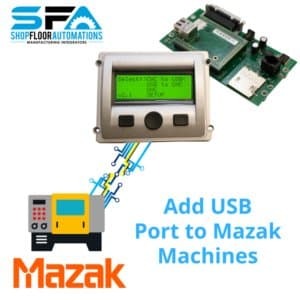 Looking to add a USB port to your CNC control to transfer NC programs? Our USB serial port adapter products, available in portable & pendant models, streamline loading & saving of part programs via USB connectivity, as well as drip-feeding to CNCs. 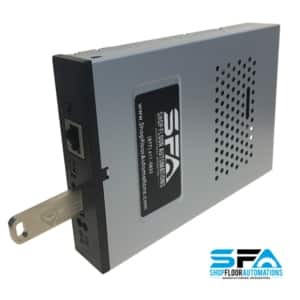 Our Floppy to USB Emulator acts as a portable floppy disk drive for machines, is easy to install, & requires no system configuration/debugging. 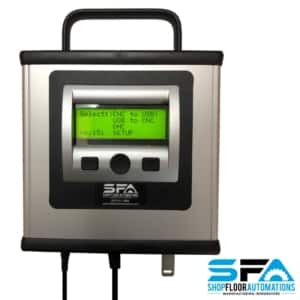 It works in PCs & a vast list of CNC machines – call SFA at (877) 611-5825 with your floppy drive Make & Model info so we can confirm the ability to emulate! 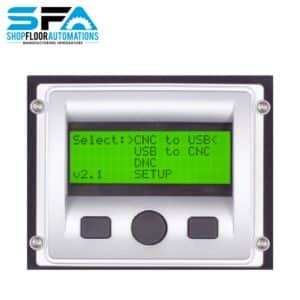 Our USB Connect, a CNC USB RS232 converter, has flexible DNC firmware built into the unit, allowing connection to just about any machine tool CNC control with a USB directory listing. Positioning the USB Connect controller close to the control allows the machine to run at its maximum baud rate. This also adds extra protection from potential damage and saves the operator time previously spent running from the PC to the machine to begin operation, as the device will push files to CNC machines. 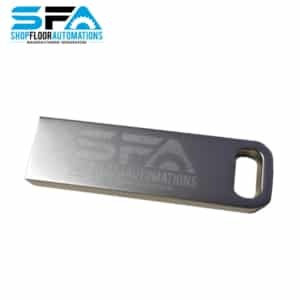 Store large part programs libraries on a single USB flash drive to achieve controllers to USB drip-feeding. 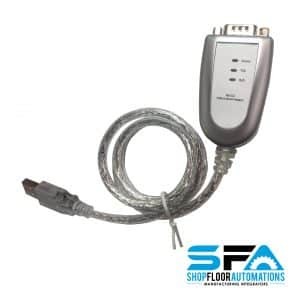 Enjoy hardware & software flow control, plus Xmodem flow control. Our USB Connect solutions also address Haas USB solutions and Haas RS232 needs!